VKH Live & VKH Live After Hours - The Whole Month is Halloween: VKH Spoopy Playlist Debut, Previewing October Releases, and More! | VKH Press – J-Rock & Visual Kei Coverage Worldwide! Home / Media / Slider / VKH Live / VKH Live & VKH Live After Hours - The Whole Month is Halloween: VKH Spoopy Playlist Debut, Previewing October Releases, and More! VKH Live & VKH Live After Hours - The Whole Month is Halloween: VKH Spoopy Playlist Debut, Previewing October Releases, and More! Well, the universe tried everything it could to prevent a VKH Live stream from happening this weekend. Thankfully, Halloween month brings out my vampirism, and vampires are resilient against sickness. Now that I'm recovered, the show must still go on! 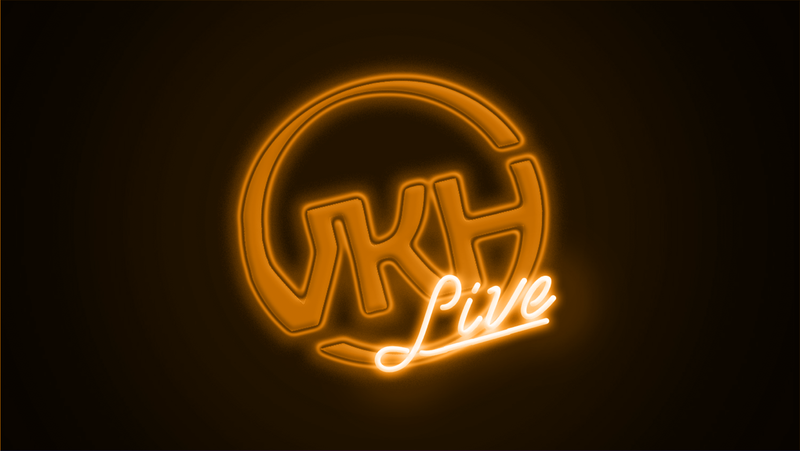 Moving forward, VKH Live will continue its weekly time slot of Saturdays at 8:00 PST EST/5:00 PM PST! Thanks for you patience! As we all know, the entire month of October is Halloween for visual kei fans. So let's kick this spooky season into high gear with our first stream of the month! Join us tonight on YouTube at 9:30 PM EST/6:30 PM PST as we talk about the upcoming releases this month, give everyone a sneak peak of VKH's first ever YouTube Halloween playlist (exciting! ), and talk all things spooky, Japanese, and rock! We will also be doing another one of our after hours streams at midnight! Join us post-show at midnight for a chill off-topic edition of VKH Live After Hours! I haven't been announcing these streams in articles until now, but we've been having too much fun to keep it to ourselves any longer! Make sure you subscribe to our YouTube channel for notifications of After Hours streams and even bonus VKH Live streams!